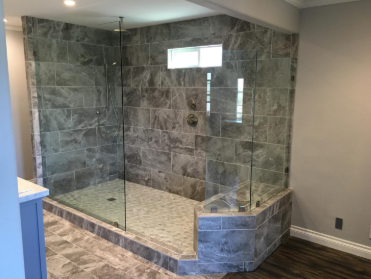 Leucadia Glass provides material and installation of hinged frameless shower doors, inline enclosures, 90 degree & neo-angle enclosures, and by-pass enclosures, in several standard sizes or for custom units. 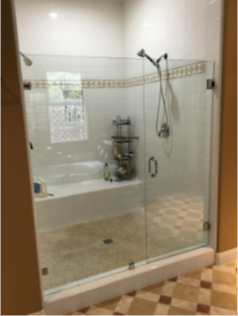 Additionally, we provide clear glass, rain or reeded glass at no extra charge for our by-pass units. 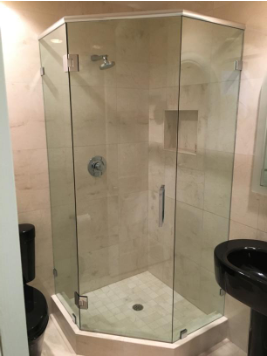 We provide custom heavy glass 3/8” or 1/2” enclosures and steam units. 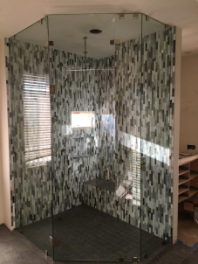 Our shower enclosures are available in several different finishes. 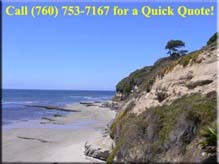 We also carry shower door seals, sweeps and handles.